The #32 Deluxe Tinned Manual Meat Grinder is the perfect grinder for hunters wishing to prepare game meat out on the hunt itself. Requiring no power, this model is perfect for that cabin far from civilization and electricity. The compact size means it is easy to pack for a trip and store away after hunting season is over. 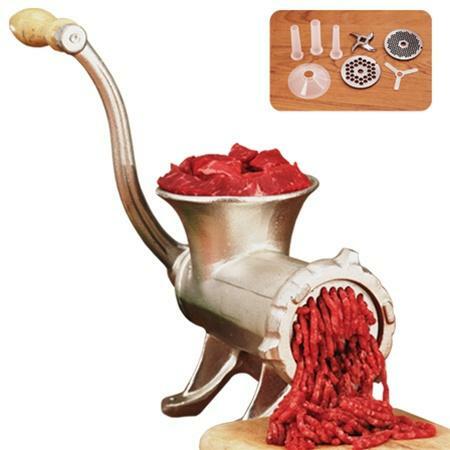 Finally, it is easy to use - just fill the hopper with meat and turn the handle to grind. This model is perfect for peparing game meat for stuffing sausages. Hopper measurements 5" x 6"